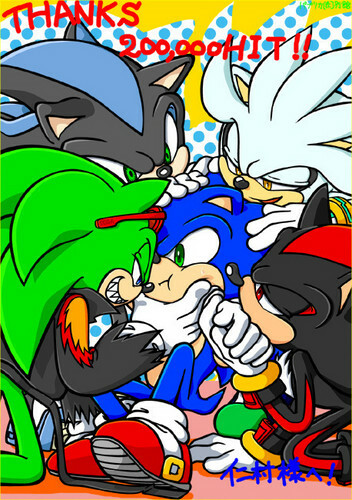 sonic blushing: STOP IT! dude i'm tired i stayed up for 2weeks 2WEEKS!for i stuipet problem so if there is the oppsit of siver i will go SUPER DARK SONIC on your a$$e$ HEAR ME!!!! HA! y'all can say tht again!!!!!!! anime_gir stop doing those theyre not funny.